Home > Documents > Public Information > W > What is Pertussis/Whooping cough? According to the World Health Organization (WHO) Pertussis, commonly known as whooping cough, is a highly contagious disease of the respiratory tract caused by Bordetella pertussis, which is a bacterium that lives in the mouth, nose, and throat. Many children who contract pertussis have coughing spells that last 4 to 8 weeks. WHO estimates that in 2008 global vaccination against pertussis prevented approximately 687 000 deaths. The National Institute of Communicable Diseases (NICD) reported an increase in confirmed cases of whooping cough among children under the age of 5 from the Western Cape, Gauteng, Mpumalanga, North West and Kwazulu-Natal. An increase which was limited to the Western Cape sites was observed between October 2017 and January 2018. Of the 37 whooping cough cases identified between May and July 2018, 20 or 54% were under the age of 3 months. People who aren't immune to the bacterium through vaccination or have had it before, can get whooping cough at any age. It can however, be deadly for infants and young children. It can also affect those who have a weak immune system and those with a chronic lung disease. According to healthline, many infants and some young children will need to be hospitalized during treatment, for observation and respiratory support. Some may need intravenous (IV) fluids for dehydration if symptoms prevent them from drinking enough fluids. Since whooping cough is a bacterial infection, antibiotics are the effective form of treatment. They’re most effective in the early stages of whooping cough. They can also be used in the late stages of the infection to prevent it from spreading to others. While antibiotics can help treat the infection, they don’t prevent or treat the cough itself. However, cough medicines aren’t recommended — they have no effect on whooping cough symptoms and may carry harmful side effects for infants and small children. WHO suggests that, the vaccination of health care workers should be prioritized, especially those with direct contact with pregnant mothers and infants. 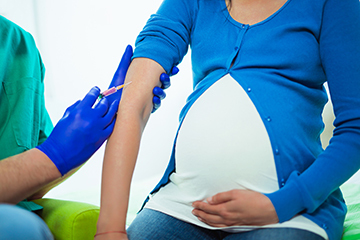 Vaccination of pregnant women is likely to be the most cost-effective additional strategy for preventing the disease in infants too young to be vaccinated and it also appears to be more effective and favourable. You or your child has been in contact with someone who has whooping cough, even if you both have been vaccinated. You and/or your child have an unfamiliar cough that doesn’t want to go away. 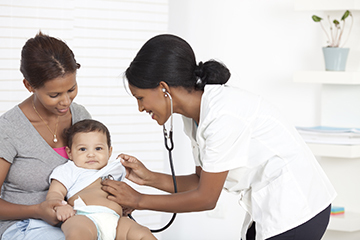 You suspect that your or your child’s symptoms might be whooping cough.